First published in Jazz Beyond Jazz. 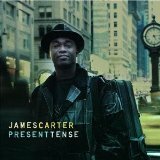 Outrageously accomplished reeds player Carter and fellow virtuosi (D.D. Jackson, piano; Dwight Adams; brass, among them) squeeze fresh thrills out of dramatic themes and basic arrangements, stretching old school ways to suit themselves and wow us. 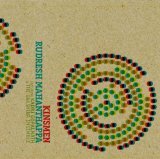 Rudresh Mahanthappa, featuring Kadri Gopalnath and the Dakshina Ensemble — Kinsmen (Pi). Indian-American alto saxophonist-with-a-Guggenheim and the unique maverick Indian "classical" saxophonist expand on their mutual appreciation for similarities and differences, backed by on-it electric guitar-violin-mrdingam-bass and traps. Newly imagined music, rather than awkwardly hybrid or superficially mixed, and often hypnotic, sometimes searing. 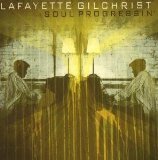 Simultaneously bold, blunt and sly, with bracing horn riffing, spunky solos and, underlying all, subtle references and fascinating subversions from Baltimore-based pianist-composer Gilchrist. 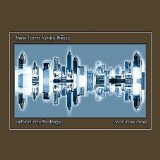 Free Form Funky Freqs — Urban Mythology Volume 1 (Thirsty Ear). Post-Hendrix guitar god Vernon Reed meets harmolodic electric bassist Jamaaladeen Tacuma and slammin' Philly drummer G. Calvin Weston. Play it loud. Cassandra Wilson — Loverly (Blue Note). Great song selection (starting with "Lover Come Back to Me," including "Caravan"), smart 'n' spare accompaniment and Ms. Wilson's deceptively casual approach to lyrics front and center makes this a welcome return to what she does best, which T-Bone Burnette quite misunderstood in Thunderbird, her previous release. 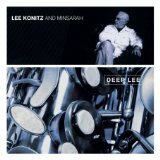 Lee Konitz and Minsarah — Deep Lee (Enja). An intuitively-bonded piano-bass-drums trio that met at Berklee School of Music embraces the graceful, wise, sensuous and spontaneous abstractions of Jazz Master Konitz, who finds ever more melody in the nooks and crannies of familiar intervals and progressions. 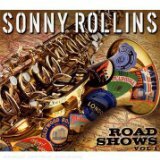 Still champion Sonny Rollins self-selects on-stage highlights from Poland 1980 to Carnegie Hall, 2007. His standard is notoriously high, and this collection meets it. 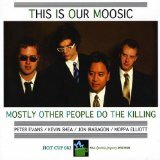 Postmodernism at its most engaging, four young men who know a lot of jazz past lay it all out, evidently for fun, and surprise — one can almost sing along. Previously reviewed. Three dedicated hornmen, with ace rhythm (Billy Hart, drums; Cecil McBee, bass; Phil Markowitz, piano) and guest trumpeter Randy Brecker collaborate in honor of the late Michael Brecker with heartening depth. 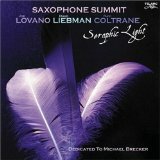 Also hear Lovano's suave Symphonica with the WDR Big Band and Rundfunk Orchetra (Blue Note). 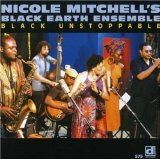 Mitchell's flute is a free-flowing wonderment, sustaining constant interest in settings for her Chicago AACM-linked Ensemble, even when they wander. Also available on DVD. 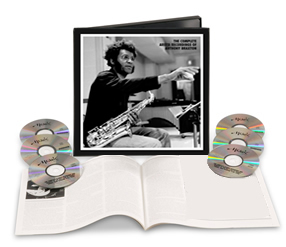 An audio treasury, four ceds of varying sound quality documenting the jazz revolutionary's rise from obscurity to immortality. 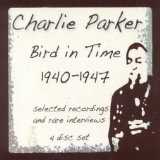 For Bird devotees, but definitely for Bird devotees. Produced in 1965 but previously unreleased, nine tight bluesy little-big band pieces written, arranged and conducted by a commanding baritone sax and flute soloist. Shihab, ab expatriate who had collaborated with Monk, Blakey and Gillespie rewards revisiting — and here gets excellend rhythm support from bassist Niels Henning Orsted Pederson and drummer Alex Riel. Shoulda been on Blue Note, back in the day. Prolific, indefatigably original and unabashedly ambitious (music for four orchestras?! ), multi-reedist-composer-improviser Braxton was as brilliant from '74 to '80 as he is now; the top notch productions filling eight discs here retain their original daring and reveal beauty not any better understood 30 years ago. 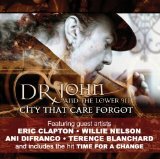 Dr John and the Lower 911 — City That Care Forgot (Blue Note). Few New Orleansians have such a rich drawl, punchy piano style and the righteous anger to ask "Say Whut?" and make it infectious. With ringers Eric Clapton, Willie Nelson, Terence Blanchard, Ani DiFranco, Trombone Shorty and Terrance Simien all compelling attention. 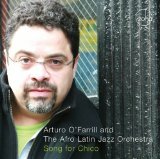 Arturo O'Farrill and the Afro-Latin Jazz Orchestra — Song for Chico (Zoho). Besides the estimable leader, an elite cast — Dafnis Prieto, Bobby Porcelli, Papo Vazquez, the late Mario Rivera and Tito Puente, Jim Seeley — contribute to the sophisticated swirl. 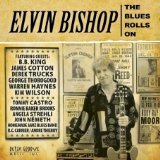 Elvin Bishop — The Blues Rolls On (Alligator). George E. Lewis — A Power Stronger Than Itself: The AACM and American Experimental Music (University of Chicago Press).